As an end user, it can be easy to overlook the full range of industrial processes responsible for bringing your food to your table. That is, until one of us finds an oddity or contaminant in our food. We’ve all seen recall notices involving plastic and metal in food items, but the fact that these instances are so rare, in increasingly complex food production lines, demonstrates just how much goes into ensuring the hygiene of the processes involved. Production lines in the food industry are particularly thorough in order to minimise the risk of hazards such as process contamination. With innovative technologies available, particularly in sealing, there are plenty of opportunities along these process lines to improve efficiency and reduce production costs. As with any industry where the end product is intended for human consumption, it is therefore no surprise that there are robust regulatory pressures in the food industry – and anything less than total compliance is not an option. Let’s explore some of the standards involved in food process lines, and how improvements in sealing technology are helping operators keep food stuffs free from avoidable contamination. The origins of the FDA stretch back to 1906 and the passage of the Pure Food and Drugs Act in the United States. While this central governing body has no actual jurisdiction outside of the United States, the FDA’s regulatory power has served as a reference point for universal standards across international food and pharmaceutical markets. Similar to the FDA, 3-A Sanitary Standards apply within the United States but have been widely adopted internationally. These standards refer explicitly to the manufacture, installation, design and best practices for hygienic dairy equipment. Whilst regulatory standards set by the FDA and 3-A Sanitary Standards provide a pragmatic reference for food manufacturers outside of the US, the only regulations to carry any legislative weight are those set by the European Commission. What difference do compliant sealing materials make to food manufacturers? Most importantly, these materials have been tested to ensure that they are suitable for contact with food stuffs intended for human consumption. The prevention of harm caused to the end user or consumer is the primary concern to any process line operator, and for food process lines, this involves compliance of all materials to FDA standards. Should there be a contamination incident caused by a seal, blame will not be attributed to original equipment manufacturers (OEMs) but rather directly with food manufacturers, as they are expected to provide a duty of care. This raises the importance of traceability of components used food manufacturing. How can food manufacturers guarantee safety of their products, if they are unaware of the origins and makeup of their product equipment and components? 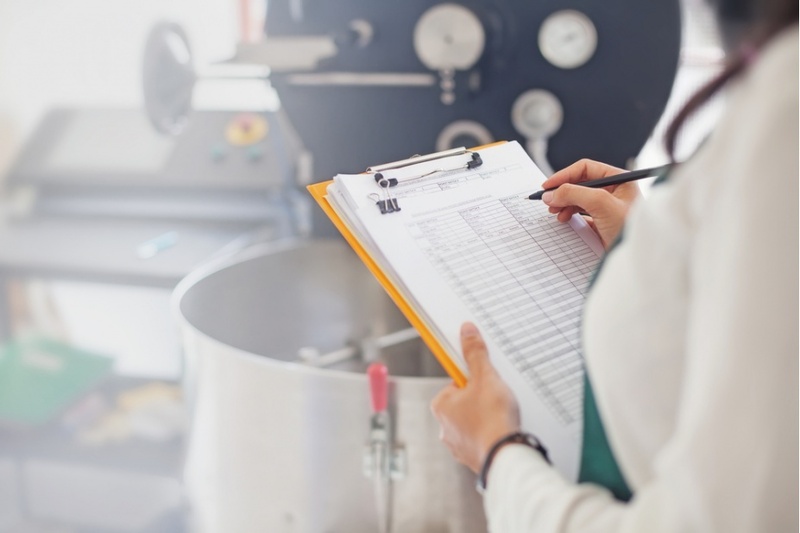 Whilst material compliance should most certainly be on a food manufacturer’s radar when searching for a seal supplier, compliance does not always ensure that the product is 100% safe for use. Should your foodstuff become contaminated in the production line, how are you able to isolate the problem and rectify it if you are unable to trace your equipment and components? It is critical that food manufacturers source seals that are not only FDA-compliant, but also demonstrate the highest industry standards and offer full batch traceability. Together with full batch traceability on all materials, along with a range of ongoing support services, Novotema can help ensure your food process lines fully conform with the most rigorous industry standards – all while delivering reliable long lasting performance in the most challenging operating environments. To find out more about our elastomer food seals, visit our website at www.novotema.com.